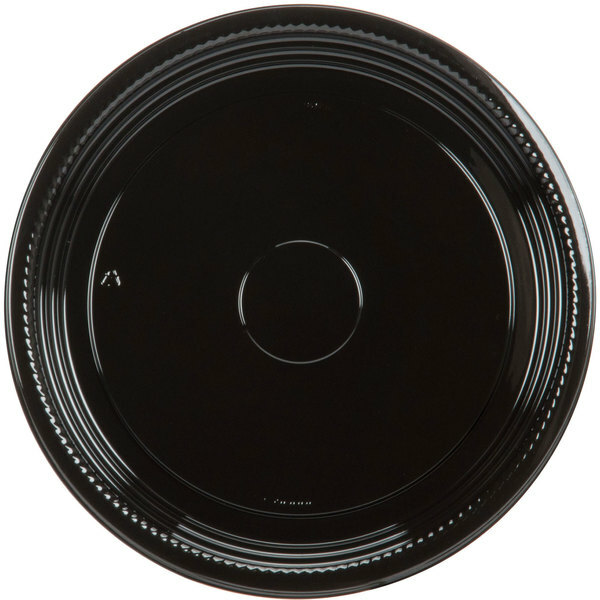 The A512PBL Caterline Casuals 12" round catering tray is perfect for selling prepared deli plates, veggie and dip trays, or pastry platters! 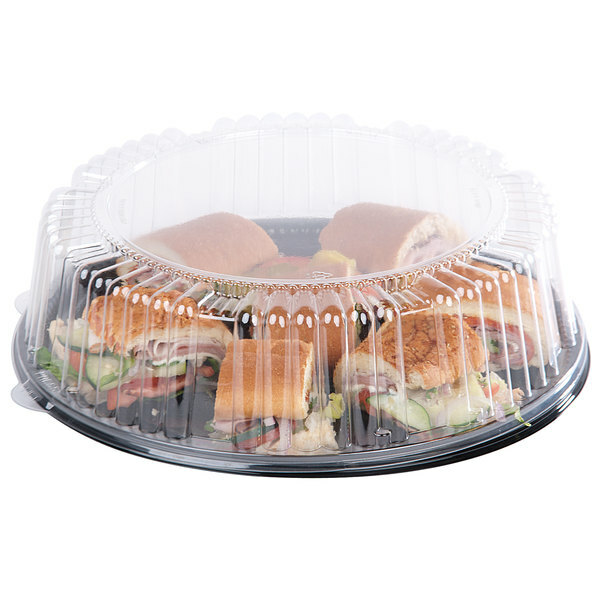 Excellent for market, deli, or bakery use, this thermoformed tray is made of durable PET plastic, offering strength and visual appeal for a variety of tasks. 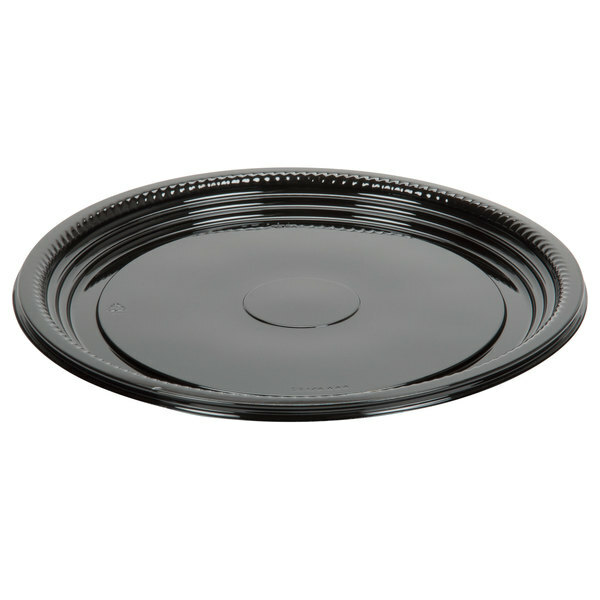 This round catering tray is crack and crush resistant. 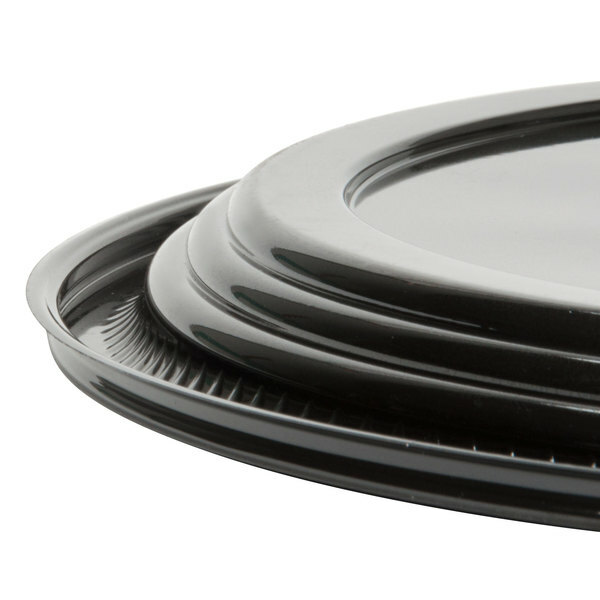 I love these trays. 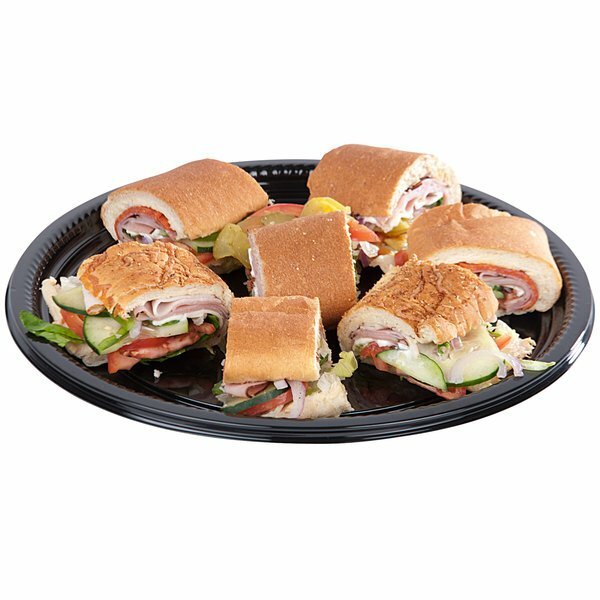 First of all because that means a catering order came in which means payday, but second of all because of what a great product they are. They are firm, sturdy, and space saving. 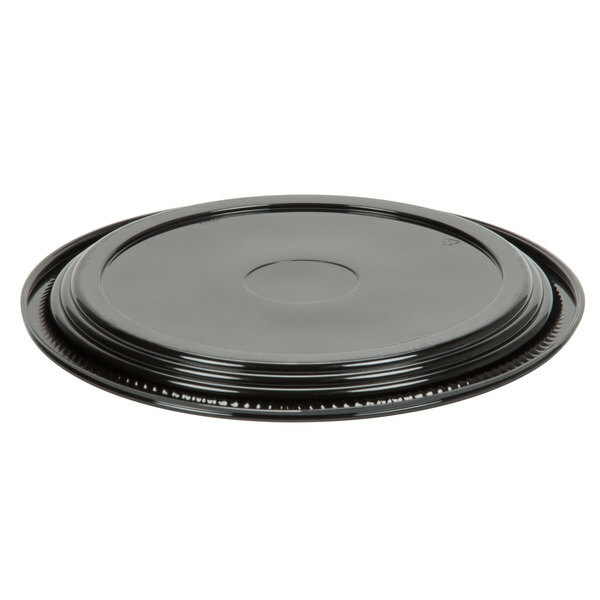 We use these for mainly our sandwich order along with their companion lid. 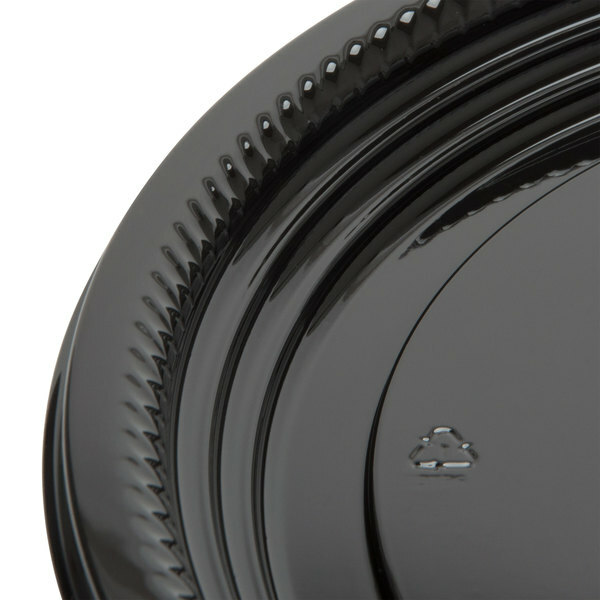 The lids securely click onto these trays and are good at conserving heat in the product. I highly recommend this product! !